We all know how important health is to our daily lives. That is why we go to the doctor and dentist regularly for checkups and evaluations. You even take the time to get your car maintained, your furnace, your central AC system and other parts of your house to make sure they are in top working order. Since you go through all of this effort, why not do the same thing for the trees on your property? Your trees play such a vital role in your home and your area that you should want to do all you can to make sure they are getting the proper care so they can be healthy and thrive. If you want to maintain healthy trees around all of the time, then it makes sense that you would want to use our professional tree trimming in Beverly Hills at Your Way Tree Service Inc.
Keeping the trees on your property trimmed the way they should be is an important part of your trees’ health. Trimming allows for dead or decaying areas of the tree to get removed so that they do not infect otherwise healthy parts of the tree, damaging the tree further. Proper trimming also helps to promote new and healthier growth on the trees so that they can continue to flourish and look their best. Cutting back limbs and branches can also help to make your entire area safer, particularly if parts of the trees have started to encroach on power lines and your home. Turning to a professional company like ours for your tree trimming in Beverly Hills is important as well. While many people think they can simply trim the trees on their property themselves with the use of clippers and saws, there is a great deal of understanding, care, planning and knowledge that goes into tree trimming. Making an incorrect cut on a tree can severely damage the health of the tree, exposing it to potential problems that can even lead to the death of the tree. Improper trimming can also weaken the tree, making areas of it vulnerable to winds and storms and potentially causing damage to your home and property if parts come down. Our professional service takes great care in tree trimming to make sure it is done safely and properly. 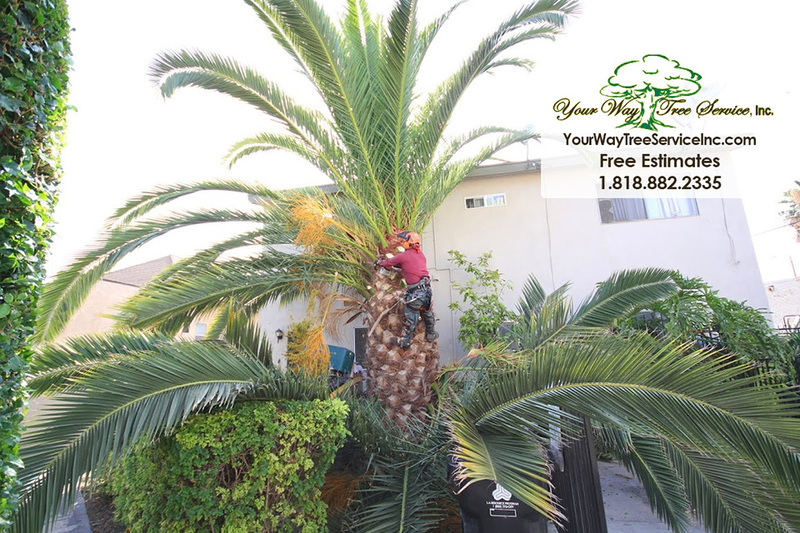 To get the professional tree trimming in Beverly Hills that you need, take the time to call us at Your Way Tree Service Inc. at 818-882-2335. We can schedule an appointment to take a look at your trees, see what work needs to be done and perform the trimming you need to keep your trees healthy and looking their best.